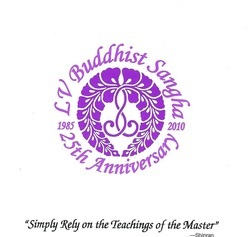 Please visit our new Las Vegas Buddhist Sangha Website! taken at the last service. We also need ads to support the website, so please ask your friends and business associates if they would like to advertise at the rate of $10/month or $100 per year for a business card sized ad. We will also accept gift certificates from restaurants and other businesses as payment for their ads.